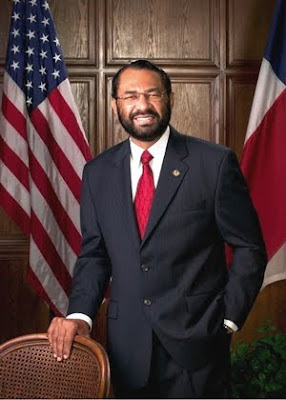 Texas Congressman Al Green (9th Congressional District) Invites you to his Health Care Reform Town Hall Meeting on Tuesday, August 25, 2009. Congressman Green will talking with his constituents about the current proposals in Congress. The theme of the town hall meeting is: Fact vs. Fiction How will these proposals affect YOU? I, along with others in our area, received an email blast from Luke Hayes, Texas State Director for Organizing for America. He advised people to "arrive as early as possible to the town hall, and make sure that the most powerful voices in this debate are those calling for real reform, not angrily clamoring for the status quo." What do you think will happen? I will be there to see.